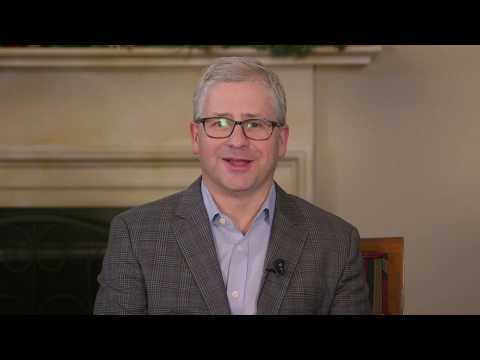 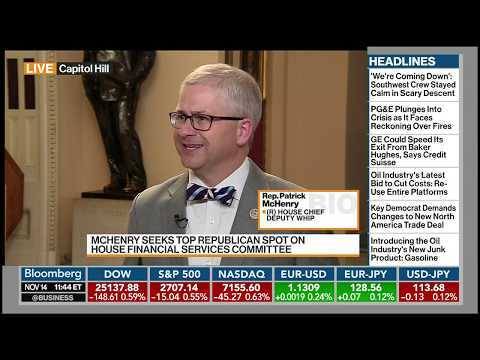 11.14.2018 - Congressman Patrick McHenry (NC-10), Vice Chairman of the House Financial Services Committee, joins Bloomberg to discuss today's House Financial Services Committee hearing with the Federal Reserve's Vice Chairman for Supervision Randal Quarles. 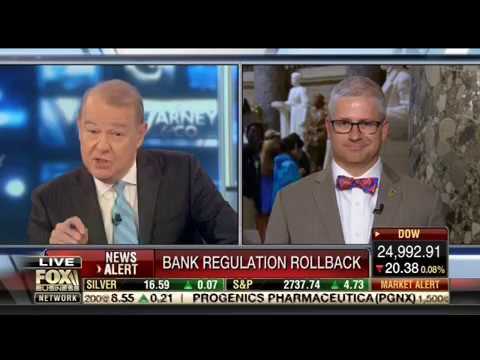 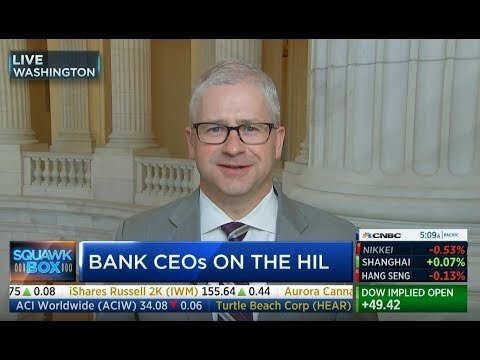 Congressman Patrick McHenry (NC-10) joins CNBC's Squawk Box to discuss what issues he hopes to focus on during Wednesday's Financial Services hearing with bank CEOs. 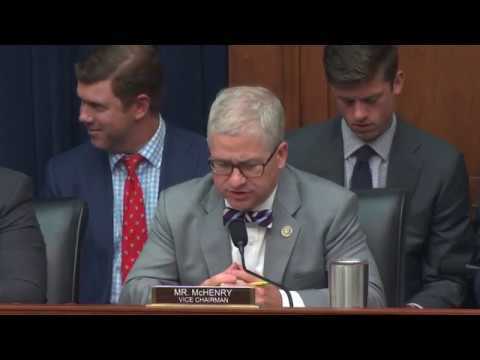 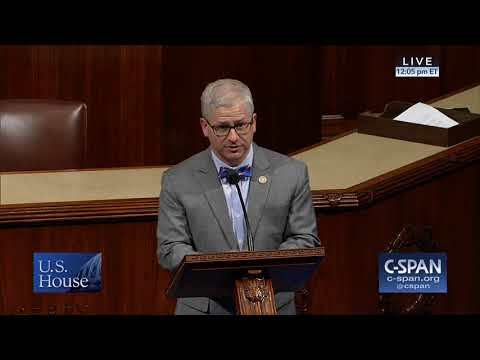 Congressman Patrick McHenry delivers a speech to the House Floor denouncing H.R. 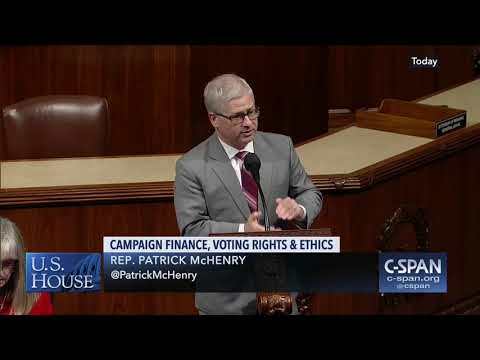 1 as a partisan power grab that hurts American voters. 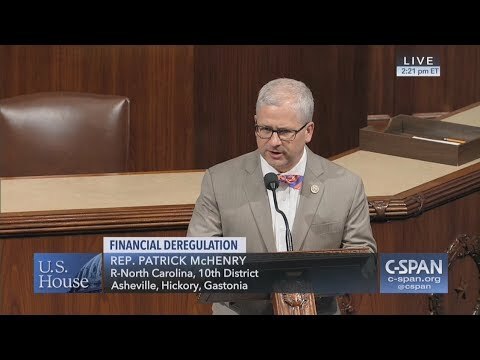 Congressman McHenry (NC-10) wishes everyone in the Tenth District a very Merry Christmas and a Happy New Year. 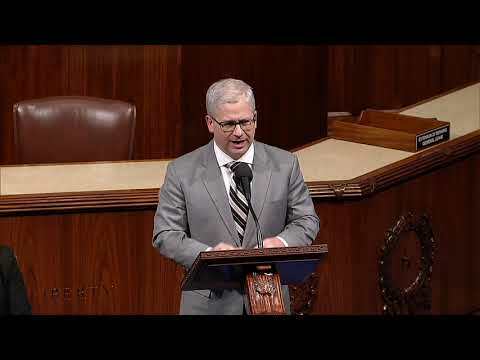 Chief Deputy Whip Patrick McHenry (NC-10) delivers a speech on the House floor calling for the release of Pastor Brunson, who has been wrongfully imprisoned in Turkey since October 2016. 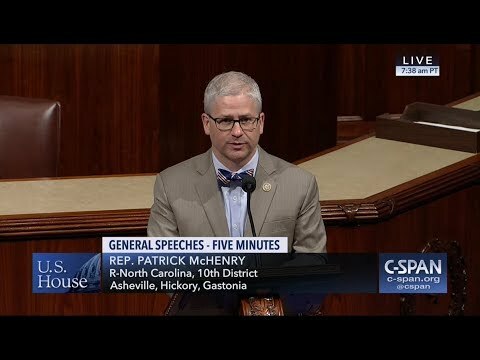 Chief Deputy Whip Patrick McHenry (NC-10) speaks in support of H.R. 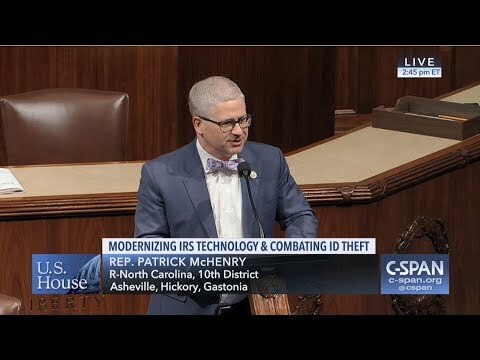 5445, the 21st Century IRS Act. 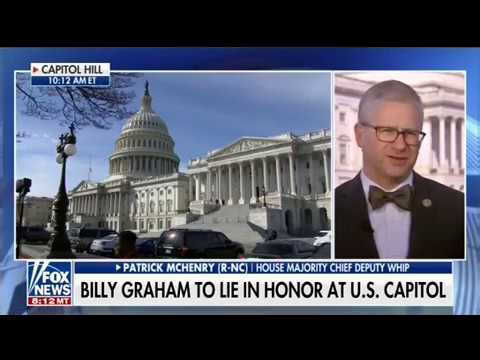 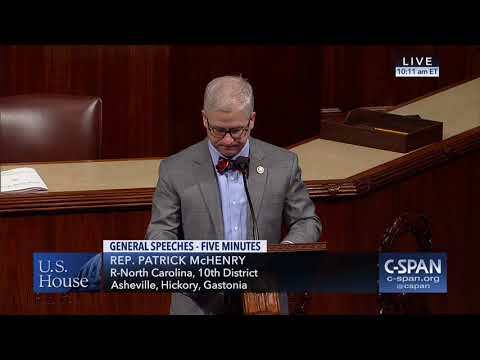 Chief Deputy Whip Patrick McHenry (NC-10) speaks on the House Floor to recognize the life and legacy of Reverend Billy Graham, who resided in the Tenth District town of Montreat. 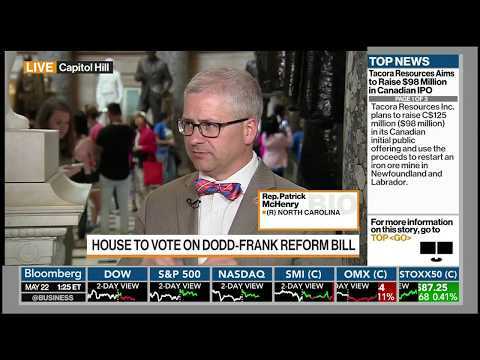 Chief Deputy Whip Patrick McHenry (NC-10), Vice Chairman of the Financial Services Committee, speaks in support of H.R. 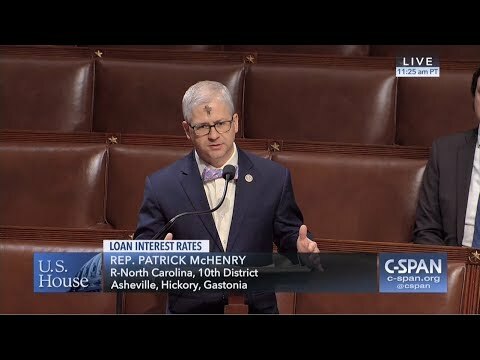 3299, the Protecting Consumers' Access to Credit Act of 2017.